West Jerusalem, early June 1967, the eve of war. Ten-year-old Mira Levi and her best friend Gili Moser share an awful secret. 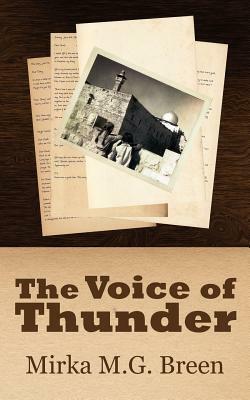 They have discovered a new radio station called The Voice of Thunder from Cairo. Broadcasting in accented Hebrew, it threatens the demise of their country, their city, and their families. As the menace beats the drums of war, on June 5th the danger becomes all too real. Mira finds her own voice as she struggles to drown the distant terror of The Voice of Thunder. In these first two weeks of June, not only are Mira and Gili's lives changed forever, but history will never be the same.